I read this week that America’s First Family will be planting a vegetable garden on the White House lawn, an expansive, beautiful deluxe 1,100-square-foot plot with 55 kinds of vegetables and herbs based on a wish list from the White House chefs. They’re using organic seedlings, organic fertilizers and organic bug repellants. Michelle and Barack Obama have the opportunity to teach daughters Malia and Sasha about digging into rich soil, watching tender bean seedlings sprout, discovering the first bright yellow flowers on the tomato vines and waiting for a green pepper to ripen. They’re also sharing the garden tasks with lucky elementary school students from a local school, who will help with the groundbreaking then stay involved with the garden planting and harvesting. I hail this move as a victory in the fight for better nutrition for our families. The Obamas will serve as role models for parents who want to share the gift of wholesome foods with their children. When we involve our kids in the growing of their own food, we help them create a strong connection to the food and encourage them to enjoy the results of their labor. The tomatoes that I pulled from my father’s vines in our back yard still rank as the most delicious I’ve ever had and created in me a lasting love for fresh tomatoes. And because the Obamas are focusing on organics, they’re also helping to encourage us all to seek out foods grown without toxins. Nothing could make an Organic Man like me any happier. 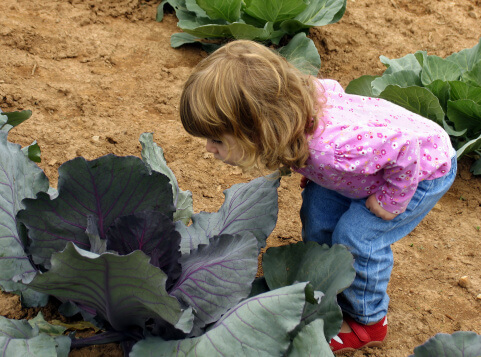 Ready to teach your little ones to love gardening? Check out Little Garden Angels gardening tools on Parent Picks.